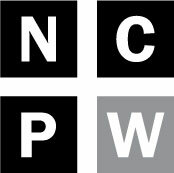 NC Policy Watch believes it is important for all citizens to be involved in state policy debates. North Carolina newspapers provide an excellent forum for discussing issues that affect our communities. We have compiled a directory of all the daily and community newspapers published in North Carolina with links to their respective websites. Stay informed—read the newspaper. When you feel strongly about an issue, we encourage you to write a letter to the editor so your political voice can be heard.